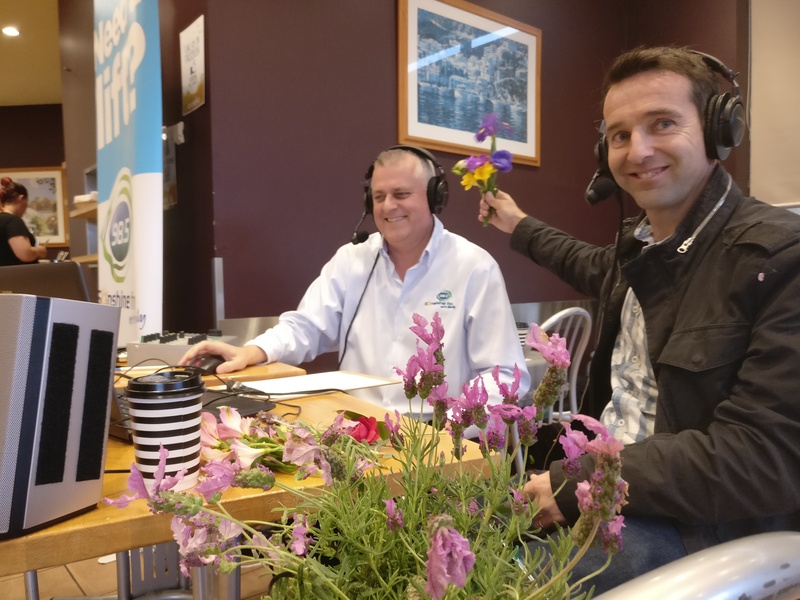 We had a touch of royalty during our LIVE broadcast from Koorong’s Pages Cafe as Colin Barlow brought along The Princess Lavender plant, also known as Lavandula. Colin from Gardens from Eden also answered some questions from our listeners while decorating Mike with flowers. My coriander has gone to seed and I cut them almost down to ground level. Will I be able to get fresh new growth from my existing plants? I’m restoring a lawn which is mostly weeds at the moment! It’s couch but has some very thick runners, is this a different variety and what can I do about it? We have rabbits, cats, and a jack russel whom love running around and rolling on the lawn. Is there a lawn weed killer that won’t hurt our pets? I want to know if Colin had any luck with the cabbage moth !scarred! he mentioned earlier this year. I’m putting in fruit trees for a friend and need to know how much clay to compost and sand mix per sqm. I accidentally sprayed my roses with weed killer which I thought was aphicide. The leaves are now starting to wilt. Is there anything I can use to counteract the weed killer? I have been watering them a lot. I am the veggie patch coordinator at my kids catholic school and last week the kids planted sweet-corn seedlings but this week they were nibbled completely away! I don’t know who the pest was and being a primary school we do not use bait sprinkles for obvious reasons. What safe options can we use around kids? If you have a similar question and would like to have a listen to Colin’s response to them, here’s the podcast from this morning’s broadcast from Koorong. Tune in next Friday for more gardening discussions with Colin and Mike. If you have a gardening question for Colin, text it in during the show to 0429 985 985. You will not only have a practical answer from our gardening expert, you will also stand a chance to win a prize pack from Richgro worth $75!